Off a 1995 Honda Prelude Si with automatic transmission. Off a 1992 Honda Prelude Si with manual transmission. We want you to be 100% happy with your order. Off a 1996 Honda Prelude S model with automatic transmission. We want you to be 100% happy with your order. This is afactory rear lower sway bar removed from a 94 Honda Prelude. SHOULD fit 92-96 Honda Prelude. Honda Parts Unlimited. a pretty image. Off a 1999 Honda Prelude base model with automatic transmission. We want you to be 100% happy with your order. Off a 1999 Honda Prelude Sh model. Off a 1999 Honda Prelude SH model. We want you to be 100% happy with your order. 1992 1993 1994 1995 1996 Prelude w ABS. Right (passenger side) front knuckle as shown. loc w5c21aflr. · Honda Prelude 1991 Red Standard Transmission – JHMBA4135MC009351. Off a 2001 Honda Prelude base model with automatic transmission. We want you to be 100% happy with your order. Model: HONDA PRELUDE. HONDA PRELUDE 92-96 Trailing Arm. Side: Left. Part Grade Abbreviations. cc = Credit Card size units. C = Greater than 200k miles. B = Greater than 60k miles and less than or equal to 200k miles but greater than 15k miles per year. This is the beam where the rear suspension mounts to. Will fit 97-01 honda prelude non sh. Over 100,000,000 served. Truly Affordable Sales Automation. This is a pair of rear lower left and right trailing arms removed from a 97 honda prelude. Will fit 97-01 honda prelude. Honda Parts Unlimited. a pretty image. We want you to be 100% happy with your order. 92-96 prelude RH w. Abs. Removed from 1993 Honda prelude. Fits the following models. It is in good condition. The ball joint is also in good condition. SHOULD fit 88-91 honda prelude. Honda Parts Unlimited. We want you to be 100% happy with your order. Good condition with good ball joint. Application : 1983-1984 HONDA PRELUDE. Front, Lower, Left. Made in Japan. This item is in good pre-owned condition and was tested in good working order prior to its removal from the vehicle. This is afront left driver side brake knuckle removed from a 97 honda prelude base model. The lower ball joint is also in good condition. Should fit 97-01 honda prelude non SH. Honda Parts Unlimited. 97 98 99 00 01 5th generation Honda Prelude BB6 *BASE MODEL ONLY* (non Type-SH) OEM factory original Front left lower control arm. Mounting bolt hardware included! Newly repainted black. Good condition. It is in good condition. The ball joint is also in good condition. SHOULD fit 88-91 honda prelude. a pretty image. Model: HONDA PRELUDE. HONDA PRELUDE 92-96 Locating Arms, rear. Side: Left. Part Grade Abbreviations. cc = Credit Card size units. C = Greater than 200k miles. B = Greater than 60k miles and less than or equal to 200k miles but greater than 15k miles per year. This is a rear left driver side brake knuckle removed from a 97 Honda Prelude. Honda Parts Unlimited. a pretty image. We want you to be 100% happy with your order. SHOULD fit 88-91 Honda Prelude without 4 wheel steering. a pretty image. Rust free and in good condition. Off a 1992 Honda Prelude S with manual transmission. We want you to be 100% happy with your order. SHOULD fit 97-01 Honda Prelude. a pretty image. SHOULD fit 88-91 Honda Prelude. Good condition. a pretty image. Removedfrom a 93 honda prelude. Will fit 92-96 honda prelude. Truly Affordable Sales Automation. Honda Prelude 4AT SE 1995 Honda Prelude 4AT SI 1992, 1993, 1994, 1995, 1996 Honda Prelude 4AT SI4WS 1992, 1993, 1994 Honda Prelude 5MT SE 1995 Honda Prelude 5MT SI 1992, 1993, 1994, 1995, 1996 Honda Prelude 5MT SI4WS 1992, 1993, 1994 Honda Prelude 5MT V-TEC 1993, 1994, 1995, 1996. Genuine Honda parts. Good working condition. Fits all 97-01 Honda prelude. SUSPENSION STEERING AND MORE. Quality USED OEM parts since 2008 MON - SAT 8:00 AM - 6:00PM CST. Unless otherwise noted. 97 98 99 00 01 5th generation Honda Prelude BB6 *BASE MODEL ONLY* (non Type-SH) OEM factory original Front right passenger side lower control arm. Mounting bolt hardware included! Newly repainted black. Good condition. Will fit 97-01 honda prelude non SH model. a pretty image. Good condition. Condition: Used. We want you to be 100% happy with your order. Fits on 88 89 90 91 Honda Prelude ECM ECU Computer Box Very Good Tested Unit!! You may also be interested in. Warranty is issued with every set of remanufactured fuel injectors. This warranty is non-transferable. Off an 1991 Honda Prelude Si with automatic transmission. We want you to be 100% happy with your order. Model: HONDA PRELUDE. HONDA PRELUDE 92-96 LH. 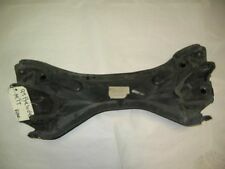 HONDA PRELUDE 97-01 Base, LH. Side: Left. Part Grade Abbreviations. cc = Credit Card size units. C = Greater than 200k miles. B = Greater than 60k miles and less than or equal to 200k miles but greater than 15k miles per year.